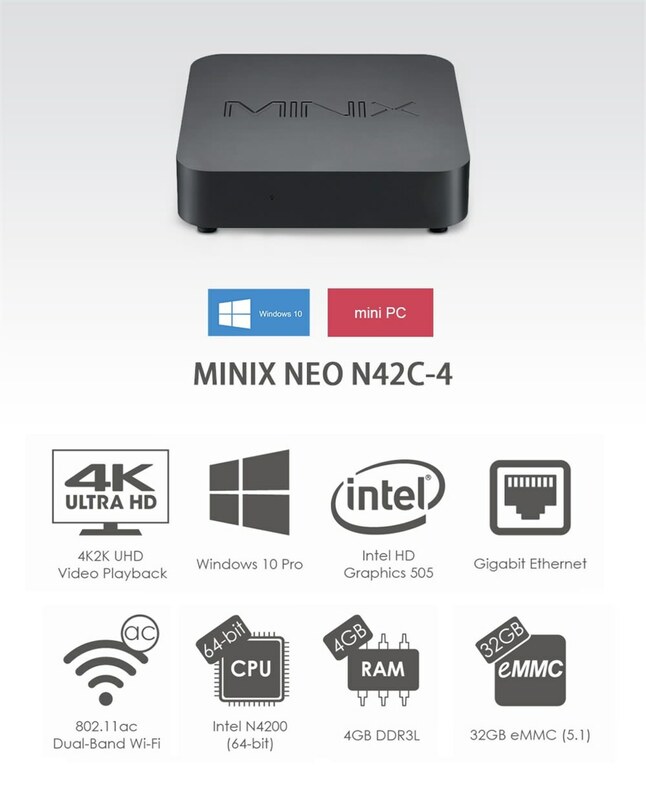 MINIX NEO N42C-4 Mini PC is powered by Intel N4200 processor with integrated Intel HD Graphics 505 which is the ideal for industrial and commercial applications. 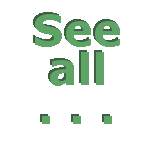 It delivers all the power and functionality of a desktop computer in a compact, stylish chassis. Achieving premium, ultra-responsive performance and the power to fulfil your productivity needs. Pre-installed with Windows 10 Pro (64-bit), set up is effortless and MINIX NEO N42C-4 is ready to run straight out of the box. Thanks to its Intel HD Graphics GPU engine, NEO N42C-4 excels at producing super detailed, crystal-clear 4K@ 60Hz imagery, capable of streaming ultra-high definition vibrant visuals smoothly. The chassis incorporates clevery disigned ventilation and air holes to maximize airflow, and maintain appropriate temperature to safeguard againt over-heating. Built in accordance to industrial standards, NEO N42C-4 is highly reliable throughout periods of continuous 24/7 operation. An auto power=on option can be enabled whitin the BIOS menu settings, removing the need to manually power back on after a power outage.